We urge you to explore the full potential of the website. 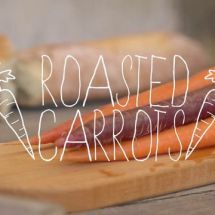 Once you navigate through a few of the articles and recipes you will quickly discover all the wonderful ways of viewing our content. When viewing the site on a mobile phone click the indicated icon in the top right hand corner of the screen to access the navigation menus. Keep your eyes peeled for those images and links which will reveal more content and more media to enhance your experience on our website. 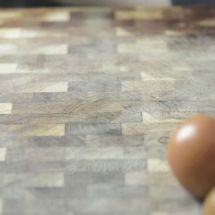 For example, when viewing a recipe you can click the button indicated below to open a video player to play the VideoRecipe (a video version of the indicated recipe). The controls of the video player that opens in a “lightbox” are pretty straight forward. To close the video viewer you can merely click on the page outside the viewer and it will close. On a mobile the controls are located at the top of the page. You can both search the website by keyword or you can filter recipes for food and drink from the search menu on any page. 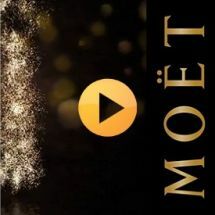 On many of the pages you can enjoy the images and music in our videos while enjoying the remaining content on the page. But if you navigate away from the page, the video and the accompanying audio will close. This page has examples of both image galleries and the various ways we display video content. 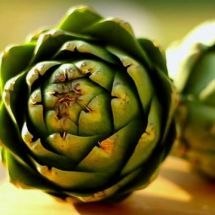 For all our food recipes you have the ability to filter the recipes by Ingredient, Course (e.g. 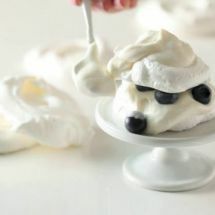 Main Course or Dessert) and Cuisine (e.g. Asian). You can add additional filters to narrow a search and remove them (by clicking the “x”) to broaden the search. 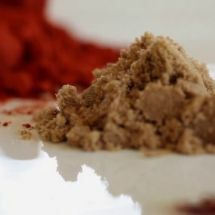 In this example we show the recipes that are Desserts that include the Ingredient “cocoa powder”. 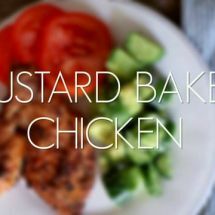 This mustard baked chicken is a great go-to dinner -- just 4 ingredients and 30 minutes of your time! 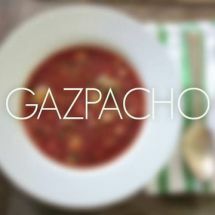 LEAF's twist on a homemade gazpacho! 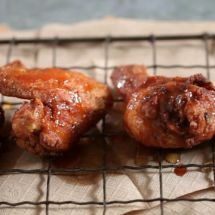 Simple and delicious add a tsp of honey in the last 5 mins and you're really spoiling yourself! Produced in collaboration with McDill Associates. Hello weekend! 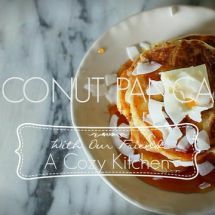 Try this Coconut Pancake recipe we made with the food blog, A Cozy Kitchen! 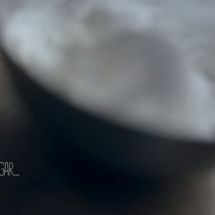 song: "babe" - evenings There is something beautiful about the baking process. 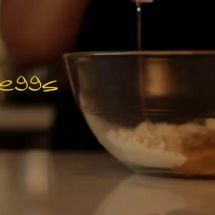 The way flour feels in your hands or the sound of eggs cracking on the edge of a bowl. Baking is a gathering of interesting materials, a mixed medium art piece of sorts, that ends in a cake instead of a canvas. Thank you for your compliments. We have not been able to respond to comments for some reason (still trying to figure it out....) but here is some general info. 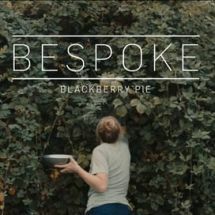 We shot this with a Canon 5D and 7D with EF 50mm f1.4 USM and EF 24-105mm f4L IS. We edited in Final Cut Pro and colored in Color and FCP. We wrote out the titles and edited them in Photoshop. And yes, the beet cake is delicious! Video recipe for fresh salsa. 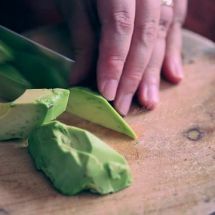 A fun little video recipe. 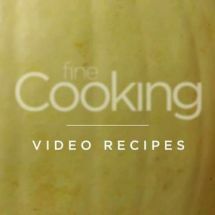 The first ever experiment of a video recipe for us. 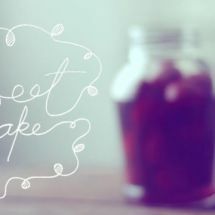 Thank you for Sugar and Snapshots for the original recipe and for Tiger in a Jar for inspiration. Music: Samba de Verão by Marcos Valle, version by Mario S. Fernandes. Tomatoes, basil, garlic, bread and mozzarella. It's hard to go wrong with this 30-minute snack. 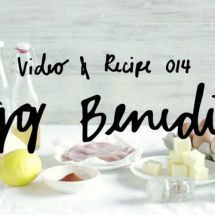 A simple video recipe for my website, Made Weekly (madeweekly.tumblr.com). Shot and edited by John Kingman (kingmanphoto.tumblr.com). Illustrations by Cat Baldwin (catbaldwin.com). 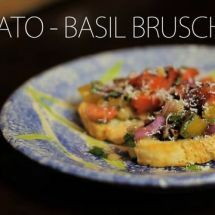 This FeelGoodNow.com recipe video shows you how to make Tomato-Basil Bruschetta, a delicious and healthy appetizer for any occasion. 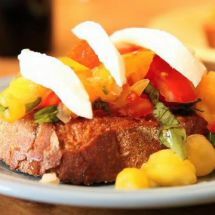 Tomato-Basil Bruschetta 4 Tomatoes, preferably plum ¼ red onion 4 garlic cloves 5-6 leaves of fresh basil 1 tablespoon olive oil Balsamic vinegar to taste Salt and pepper to taste 1. 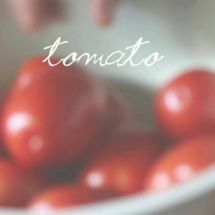 Dice tomatoes to personal taste, whether you like it chunky or fine. Dice red onion, garlic, and basil. 2. 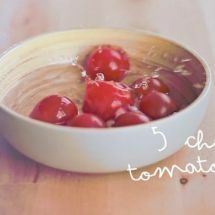 In bowl, add tomatoes, red onion, garlic, and basil. Add salt and pepper to taste. Add olive oil and balsamic vinegar to taste (whether you want it sweeter or saltier). 3. Stir and serve on crostini. 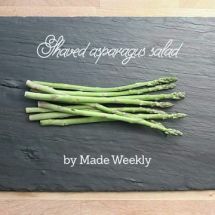 Garnish with a chiffonade of basil or a drizzle of balsamic reduction. 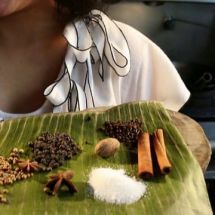 Chef Hong Thaimee demonstrates how to make Thai laab. 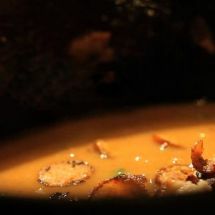 For the recipe and more videos, visit http://www.saveur.com. 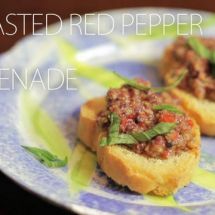 This www.FeelGoodNow.com recipe video shows you how to make Roasted Red Pepper Tapenade, a delicious and healthy appetizer that is good for any occasion. Roasted Red Pepper Tapenade 3 large cloves garlic, roasted or fresh Extra-virgin olive oil, for drizzling 1/2 cup roasted red peppers (can be found at antipasto bar at local grocery) 1/2 cup mixed olives, no pits! 1 tablespoons capers, drained 1 tablespoon fresh squeezed lemon juice Rough chop the red peppers and garlic to help your food processor out. Combine all ingredients in the food processor. Serve on crostini and enjoy! 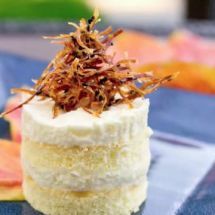 Techniques to make the perfect genoise. See http://norecipes.com/2010/11/27/pumpkin-honey-mousse-cake-recipe/ for the full recipe that goes along with this video. 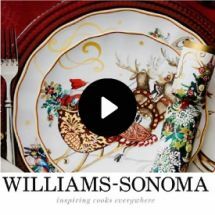 This is part of Southern Living's un-hosted food video series.